OK, so they call them GRANNY FLATS & MOTHER-IN-LAW FlATS. So what’s wrong with a DADDY PAD? Its time to start dealing Dad into the equation when it comes time for that little special space or place. Put it by the backyard pool or next to his private putting green. Or just make a special place for him on your own homestead. After all if it weren’t for dear ole Dad bringing you into this world you wouldn’t have that beautiful piece of property you’re living on. I know I know. It’s expensive you say. Well, just how much did he spend on you when you were growing up? Bought all your Little League, Pop Warner gear, and paid the annual fees to get you on all the teams you played on. Probably even set aside hours a day for months on end coaching and attending your games and activities. Even joined the Indian guides and bought all the camping gear or maybe even sprung for a camper for your comfort. Or for all you daughters what about those mountains of Girl Scout cookies he sprung for so you could win the contest? Then there was 6th grade camp, cheer leading garb and related expenses (not cheap) and senior prom formal, photo shoot and limo. But let us not forget that most special day of all when he walked you proudly down the isle to give you away to that other special man in your life who would become your soul mate and the father of your children forever more. 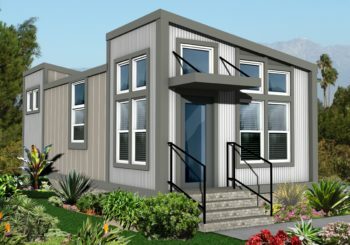 CREST BACKYARD HOMES: Base price starting at $95 per square foot. Range from 12-15 feet wide by up to 60 feet long. Available in any architectural and interior design motif. Email us your address and we’ll do a Google Map site & feasibility overview.